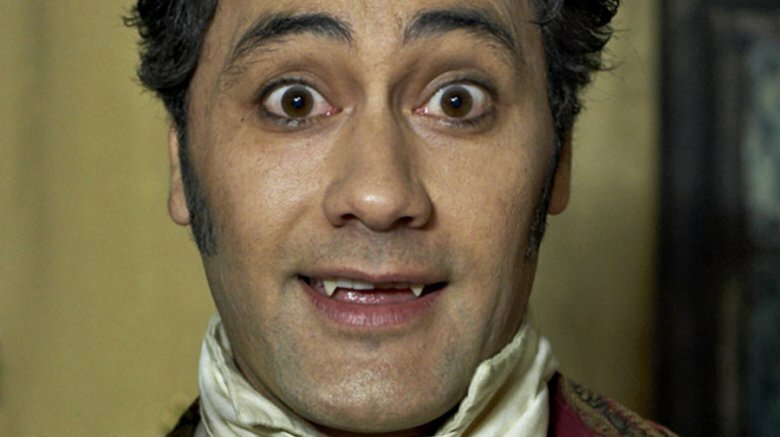 A What We Do In the Shadows TV series is coming your way in 2019. According to The Hollywood Reporter, FX has ordered 10 episodes of the vampiric comedy, which comes from Flight of the Conchords' Jemaine Clement and Thor: Ragnarok's Taika Waititi. The show will be based on the movie of the same name, which was released in 2014. The movie followed the movements of four vampire roommates, played by Waititi, Clement, Jonathan Brugh, and Ben Fransham, as seen through the lens of a documentary crew. The four vampires in question all live together, and they have the same conflicts that any human roommates would have. Things get even more tense for the roommates when they have to deal with the newly "turned" Nick (Cori Gonzalez-Macuer), who threatens to expose their secrets. Kayvan Novak (Thunderbirds Are Go), Matt Berry (Toast of London), Natasia Demetriou (Year Friends), and Harvey Guillen (The Internship) will star in the series. Clement is set to write the show, while Waititi will direct. Clement, Waititi, Paul Simms (Atlanta), Scott Rudin (No Country For Old Men), Eli Bush (Lady Bird), and Garrett Basch (The Girl With the Dragon Tattoo) will executive produce. "What We Do in the Shadows only gets better with age thanks to this brilliant adaptation for television by co-creators Jemaine Clement and Taika Waititi," said Nick Grad, president of originals at FX. "Their feature version was a hilarious, fresh take on the mundanity of everyday life that even immortals must face. We are thankful to them, Paul Simms and Scott Rudin, and this amazing cast for taking us deeper into the shadows with this series."